While it is a very important part of marketing, price is something that I just haven’t focused on. However, a recent article written by Bryan Eisenberg has me extremely intrigued. In the post, Eisenberg recommends that brick-and-mortar retailers find ways to innovate or be left behind. But, it was one paragraph, in particular, that really got me thinking. It was the last part that jumped out at me. While it might not seem like much to some people, if other stores follow Amazon’s lead, I think that we can look forward to some huge changes in how retailers price their products and services in order to compete with the stores around the corner and the ones customers have access to via their computers and mobile devices. A 2012 Wall Street Journal article also points out some of the factors that online retailers use when setting prices online. In the example listed in the article, Staples.com used the distance that a person was located from a competitor’s brick-and-mortar store as one of the factors it used to adjust the prices for the items it sold online. However, this is the online store where prices can be changed with only a few clicks. Before smartphones, this type of change would have been extremely difficult in brick-and-mortar stores. Sure, most retail stores have sales that change the prices of the items that they sell, maybe even daily. 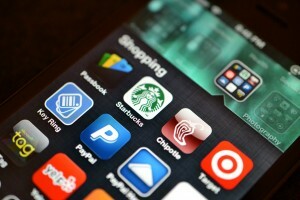 And, they could offer coupons via the paper or even email to certain customers. So they do have the ability to target certain customers to entice them to buy by offering discounted prices. But, the smartphone and the data that retailers now have can give them the ability to target customers and change prices with a much faster turnaround time, possibly even in real time. As I mentioned earlier, pricing strategy is not my area of expertise. So, there isn’t much more that I can add to the discussion. That said, it is easy to recognize that having the ability to determine if price will have an effect on a sale and make a price adjustment when a customer is most likely to buy from the store (i.e., when they are actually in the brick-and-mortar store) can and will have a huge impact on sales. That’s why I plan to watch what retailers do and monitor advancements in the technologies that they use to adjust prices that they offer to customers online and in brick-and-mortar stores using the data collected from customers’ smartphones. And, it is probably a good idea if retailers do the same. Photo credit: Thomas Altfather Good on Flickr. A few years ago, some retail experts speculated that mobile phones and online retailers would put many brick-and-mortar stores out of business. They thought that these brick-and-mortar stores would become nothing more than showrooms where customers would go to check out and try on merchandise, only to purchase the items online at a better price. Thus, brick-and-mortar stores would become less profitable, forcing some to shutter their doors. Fast forward a few years and we now know that brick-and-mortar stores are not going anywhere anytime soon. In fact, it is estimated that over 90% of current retail sales still take place in a brick-and-mortar store. As I have pointed out in the past, Forrester Research predicts that online sales will rise in the next 10 to 15 years to as much as 25 percent of total sales. However, that means 75% of retail sales will still take place in a brick-and-mortar store. While the prediction of the demise of the brick-and-mortar store was premature, changes in the way that many customers shop often resembles the definition of showrooming, or at least a slight variation of it. 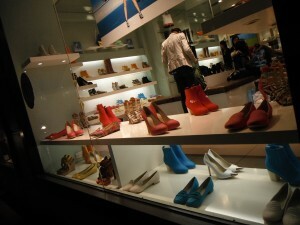 Therefore, even though many sales still take place in a brick-and-mortar store, retailers can’t rest on their laurels. 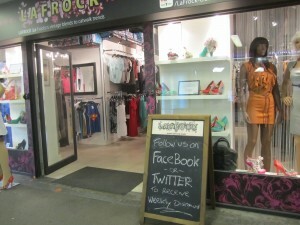 What Is Showrooming and Webrooming? In his book, “Mobile Infuence: The New Power of the Consumer,” Chuck Martin, author and CEO of the Mobile Future Institute, examines showrooming and its effect on retail. In the book, Martin highlights the results of a 2012 study conducted by ForeSee. This study provided insights that slightly change the way that we look at showrooming. Study after study is proving that customers are researching the products and services that they intend to buy through multiple channels. 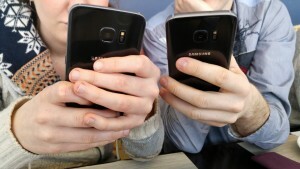 This includes at a brick-and-mortar store, on a desktop computer, on a smartphone or tablet, via the telephone, in mobile apps, and in any other way imaginable. And, while most sales are taking place in brick-and-mortar stores, customers do buy products via other shopping channels. Therefore, because customers can now research products at any time that is convenient to them and are using multiple channels to do it, every transaction that includes an interaction with the customer in a brick-and-mortar store and an online or mobile store has the potential to be classified as an instance of showrooming or webrooming. The only difference is when and if the retailer closes the sale. To complicate this further, a customer in a brick-and-mortar store could check out merchandise at one brick-and-mortar store, research prices online, and then go to another brick-and-mortar store to buy the item because the other store is selling the product for less. Is this showrooming? It could be classified that way. However, who really cares about how we label it? The reality is that retailers shouldn’t care if their customers buy from them in a brick-and-mortar store or if they buy from them online. What they need to worry about is whether or not customers are buying from them or if they are buying from the competition. Therefore, they should be making sure that they are offering the best possible shopping experience to their customers at every touch point and giving them the ability to purchase the product quickly and conveniently from wherever and whenever the customer wants to. Retailers should be worried about showrooming and webrooming. But, not because they care about how the customer is buying from them. It shouldn’t be a battle between brick-and-mortar stores and online retailers. The real competition is the other retailer, not the medium or channel that customers are using to interact with the store. Therefore, retailers should offer customers a consistent and seamless shopping experience across all shopping channels, from the brick-and-mortar store to the online and mobile store and everything in-between. They need to optimize for conversion and customer experience in every channel so that the store is the best place to shop no matter how or when the customer wants to. By focusing on what customers need and creating a better shopping experience than the competition everywhere customers shop will eliminate the need to worry about showrooming, webrooming, or whatever you want to call it. Photo credit: Jason Howie on Flickr. By now, most business leaders have heard that word-of-mouth recommendations from friends and family play a large role in the decision making process for many consumers. With this in mind, many of these same business leaders have also accepted that social media should be leveraged, and have thus established a presence on the most-used social networking sites. Many have even gone the extra mile and actually engage with their customers on these sites. But, what is often most important is what customers do and say online. The beautiful product photos, positive reviews, and check-ins that customers post spread awareness about the businesses, products, and services that they use and hopefully like. What they also do is leave a permanent record of a positive (or negative) interaction that a customer had with a brand. As you know, if it is posted on the Internet, it can possibly live on forever. What we don’t often think about is that these posts can lead to future sales by helping recommendations engines provide more targeted and accurate suggestions to future customers. In the context of what I am referring to, it is an information filtering system that helps a business recommend items to customers that they might be interested in. For additional information, Wikipedia has a good explanation. If you want to see an example of a business effectively using a recommendation engine to help its customers find products, visit Amazon.com. The Amazon.com recommendation engine uses a combination of several input data, including past purchases, product ratings, and social media data. Several social networking sites understand that the data that they collect can be very useful and have harnessed it to offer recommendations to users directly within the site. Foursquare is a great example. In his book, “Mobile Influence: The New Power of the Consumer,” Chuck Martin describes how Foursquare is using its data to offer better suggestions to its users. The book goes on to explain other ways that Foursquare is using its app and the data it collects to give its users targeted and relevant suggestions based on their location, past check in history, and the check in history of the people who they are connected to. If you want another example, check out Yelp. As you are probably aware, Yelp is an online review site that allows users to review businesses that have a brick-and-mortar location. This data can be used directly within the site to find a specific type of business based on its location and the reviews that it gets from Yelp’s users. Yelp has an algorithm that that helps surface the most trusted reviews from the most reliable sources. It is also noteworthy that Yelp reviews often show up in the results that users get when they search for information on Google. The examples that I gave demonstrated how social media can be used to help users find businesses based on data collected within the social networking site itself. To illustrate this further, think about all the photos of the delicious meals that users post on Instagram. Knowing that people often post photos of their food, the app MyFab5 encourages users to use these Instagram photos to rank the five best places for a specific type of food in a specific city. The concept is rather simple (i.e., use food photos to rank the five best places for a specific type of food in a specific city.) The app then uses an algorithm to surface the best places to get a specific type of food based on users rankings. For example, according to MyFab5, here is a list of the best places for burgers in Minneapolis, Minnesota. While this data again leads back to a brick-and-mortar location, it shows that anything that users post is fair game. Given the vast amount of data out there, there will be other businesses that will harness other types of user-generated content to help make recommendations to other consumers based on hashtags, keywords, geotags, or other data that are included in posts on social networking sites. Therefore, it is important that businesses find ways to ensure that these recommendation engines find more positive posts than negative ones. As I have pointed out, the product photos, reviews, check-ins, and other posts on social networking sites not only work to influence the people who are connected to the users who create the content, but they also can have a larger impact on future sales when they are used to fuel recommendation engines. So what can businesses do to help encourage customers to create user-generated content that displays the brand in a positive light? The answer to that question depends on the situation. However, the most important thing is to provide great products and services to customers. Providing excellent customer service is also key. In the end, businesses not only want customers to use their products and services, but they want the experience that they have with the brand to be positive. So positive that customers can’t help but share the love of the brand online. Because what is posted online can live on forever and we can’t predict how other businesses will use that data in the future. Photo credit: Andri Koolme on Flickr and chadjthiele on Instagram. In the short term, having the ability to confidently tell a customer that you have the exact product in stock at a nearby brick-and-mortar store directly within a mobile ad or even on your website is going to give retailers a huge competitive advantage. However, before you know it, this level of information is going to become table stakes. While there are a lot of obstacles that retailers need to overcome to provide accurate inventory data for their brick-and-mortar stores, it is important that they start to work through this problem. As a case study mentioned in an article on the think with Google blog proves, this type of information will help drive traffic into stores. And, I believe there will be many more case studies like this in the not so distant future. The case study mentioned earlier shows that local inventory ads can be very effective. The article also points out that Sears Hometown and Outlet Stores local inventory ads yielded return on ad spend (ROAS) higher than other offline marketing. “If people are searching for a product on their phones, there is nothing more targeted than serving that item with a picture, description, and price while letting the customers know exactly how far they are located from the product,” Buckley adds. In my opinion, I think that he is understating the significance of being able to give customers the knowledge that the product that they are looking for will be found at a specific brick-and-mortar store. While the report is now over a year old, it has a lot of insights that retailers could find useful. The more information that a retailer can give customers before they make the trip to the brick-and-mortar store, the better. As the case study on the think with Google blog points out, providing item availability information to customers who are near a particular brick-and-mortar store helps increase the effectiveness of a mobile ad. Keep in mind that it is important to make sure that the information that retailers provide to customers is accurate, because if a customer is told that the item will be available only to find out that it is sold out when they get to the store could potentially damage the credibility and trust that the customer has in the store. While there are obstacles that retailers need to overcome to be able to provide accurate inventory data to customers online, it is something that they should be working on. I think that being able to provide this type of information to customers could be more important than even the think with Google article leads the reader to be believe. And, it is only going to be more important as time goes on. Photo credit: RubyGoes on Flickr. In almost every instance where a business is trying to sell a product or service, it takes multiple positive interactions before a prospect becomes a paying customer. The average number of positive interactions, or touches at various touchpoints, required typically varies by the type of product or service being sold. Furthermore, while multiple positive interactions with a brand can lead to a sale, the reality is that negative interactions can also prevent a sale from taking place. Sometimes it is something that the brand has no control over that causes a prospect to choose the competitor’s product or service. There are some things that can be done to combat this problem. However, it does require some effort. To illustrate this point, I am once again going to use my recent smartphone purchase as an example. I have been a loyal Verizon Wireless customer since I moved to Louisiana back in 2006. When I moved there, I asked some of the local residents what provider they recommended since U.S. Cellular wasn’t an option in the area, at least at that time. Nearly everyone who I talked to suggested Verizon Wireless, because they felt that Verizon Wireless had done the best job getting service restored after hurricane’s Katrina and Rita. I took the advice of the residents of Louisiana and 10 years and two states later, I am still a customer. Something that I am absolutely sure of is that the phone that I purchased when I move to Louisiana was a Motorola, as were my first two smartphones. And, my satisfaction with the brand was extremely high. That was, until Motorola and its parent company, Lenovo, announced that they plan to phase out Motorola and only offer the Moto phones. 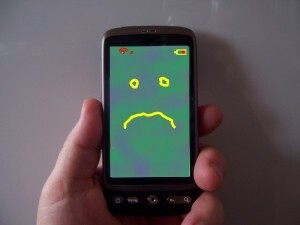 I was now faced with the option of getting one last Motorola phone or make the inevitable switch to Samsung. During my initial visit to the Verizon Wireless store, the salespeople who I talked to spoke highly of both phones, but seemed to slightly favor the Samsung Galaxy S7 Edge. Needless to say, I left the store that day still undecided. So, I did what many people do and asked for advice on Twitter. It’s definitely time to replace my #smartphone. Thinking about the Samsung Galaxy S7 Edge or the Motorola Droid Turbo 2. Any thoughts? @sprintforward I’m leaning that way. Thanks for the suggestion and the offer. As you can see, the only response that I received was from the Sprint Forward Twitter account. They recommended the Samsung Galaxy S7. That was it, I was almost certain that I would make the switch to Samsung. I only needed to check out some product reviews from CNET and a few other sources. All of which confirmed that Samsung was the best option available at the time. Given my past experience with Verizon Wireless, it was going to take more than a contact on Twitter to get me to switch to Sprint. That said, if my past experiences with Verizon Wireless hadn’t been so positive, I might have switched to Sprint or even went to Best Buy to purchase the smartphone. And, Sprint definitely has my attention if for some reason I need to change wireless carriers in the future. But, Verizon Wireless did offer a good data plan, had a great offer, and has provided excellent customer service—so I remained a customer. Had Motorola reached out on Twitter or if someone would have recommended it, I might have purchased the Motorola Droid Turbo 2, if for no other reason than to get one last Motorola phone. But, nobody did. And, Motorola already made the decision to phase out the brand that I was loyal to, so it made my decision to switch that much easier. In contrast, while Verizon Wireless didn’t reach out this time, they at least did use a promoted tweet to get my attention on Twitter and create awareness of a great offer. And, to their credit, they did reach out to me a few years ago when I wrote a post about how access to high speed wireless data can have an effect on a brand’s mobile marketing campaigns. But, in reality, it was the fact that they have always provided great customer service in the past that kept me a customer. That, and the fact that their data plans are competitive with the other carriers. What this example shows is that in the same transaction, one brand kept a loyal customer by providing competitive pricing combined with great customer service, while another lost my business because of what they did, what they didn’t do, and what other people did. 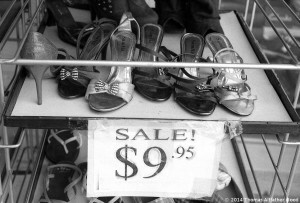 As pointed out, sometimes it is something that the brand has no control over that can have a negative effect on a sale. With a little foresight, there are things that brands can do to combat this problem and bring in new customers and retain existing ones. However, it does require some effort. Photo credit: Ron Bennetts on Flickr. People love to shop and they love to let people know about it. Therefore, it’s not surprising that for many years luxury retailers have given their customers the ability to let their friends, neighbors, and just about anyone else know that they have just spent some of their hard-earned money by providing trendy shopping bags to carry proudly as they walk through a busy mall or city street. With the rise of image-driven social networking sites like Instagram and Pinterest, the design of these shopping bags might be more important than ever before. In a 2011 Luxury Daily post, Kayla Hutzler highlights the fact that luxury shopping bags are visible to many consumers and therefore should positively convey the image and feel of the brand. The post goes on to point out that the shopping bag can be seen by many people as customers walk around in public, particularly in major metropolises. However, the post doesn’t mention another role that the shopping bag can play. For the brands that make the products, this is great. However, the retailer that sold the products might get left out if they don’t give the customer some way to visually represent the store in the photo. This is where a visually appealing shopping bag can play the role of photo prop and help get the retailer included in the story. In some cases, if the shopping bag is really visually appealing or is a part of pop culture, customers will post photos of the shopping bag alone just to commemorate the shopping experience. When a photo of the shopping bag is posted on social networking sites, it will not only be seen by all the people that that customer passes on the way home from the store, it could potentially be seen by thousands of people online. One of the best ways to explain something is to give an example. And, what a better way than to give an example from my own personal experience. About two weeks ago, I visited the local Verizon Wireless store with the intent of renewing my contract and purchasing a new smartphone. The phone that I was looking for was actually sold out at the local store. Instead of waiting for the next shipment, I drove to the nearest store that had one available. The customer service at both Verizon Wireless stores that I visited was excellent, and I walked out of the second store with a new Samsung Galaxy S7 Edge. In keeping with the current trend, I prepared to take a photo of my purchase so that I could post it on Instagram. This could have just been a photo of my new smartphone. However, Verizon Wireless had just given me this beautiful shopping bag with the purchase that just begged to be included in the photo. So, I did just that. After posting the photo, the marketer in me realized that by giving me the shopping bag, Verizon Wireless had found a way get included in what would have been user-generated content that advertised Samsung. By adding the shopping bag, it made it a user-generated ad for both Verizon Wireless and Samsung, if not primarily Verizon Wireless. In my opinion, that was brilliant. If only they had included a hashtag on the shopping bag, it would have been perfect. This not only would have encouraged customers to take photos of the shopping bag, but it would have also helped customers connect with other customers, brand advocates, and the brand. Sometimes, it is the smallest details that can help get customers to mention and indirectly endorse brands on social networking sites. And, as study after study has shown, consumers trust recommendations from people they know more than other traditional advertising methods that brands have relied on in the past. By offering customers trendy shopping bags that properly reflect the brand’s image, retailers can now be included in the post-purchase photos that customers upload to social networking sites after a long day of shopping. Photo credit: Sofy Marquez on Flickr and @chadjthiele on Instagram. Many brands and retailers are using social media to advertise and build relationships with customers online. However, if these businesses fail to integrate social media into the shopping experience at brick-and-mortar stores, they are missing out on a huge opportunity. To put this into perspective, the U.S. Census Bureau estimates that 322.9 million people lived in the U.S. at the end of January of 2016. That means approximately 61.5% of the U.S. population owned a smartphone. What this also means is that there is a good chance that many of your customers and prospects not only own a smartphone, but are using it to make purchase decisions. In his book, titled “Mobile Influence: The New Power of the Consumer,” Chuck Martin, author and CEO of the Mobile Future Institute, points out that there are six influence points in the mobile shopping life cycle. These include: The Setup: The Pre-Buy, The Move: In Transit, The Push: On Location, The Play: Selection Process, The Wrap: Point of Purchase, and The Takeaway: Post-Purchase. At each stage in the mobile shopping life cycle, brands and retailers are given the opportunity to convince a consumer to buy their product or service. In his book, Chuck Martin devotes a chapter to each of these points of influence. As he points out, there are many tools in a marketer’s toolbox to help influence a sale by leveraging the power of the mobile phone. This includes, but is not limited to, the use of social networking sites to connect with consumers as they research, buy, and share the love of a brand online. 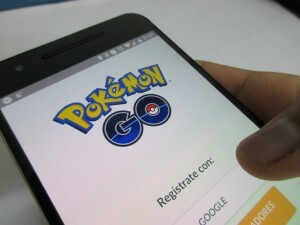 Given that many online interactions can now happen when the consumer is physically located in a brick-and-mortar store, it only makes sense that brands and retailers should look for additional ways to interact with customers as they are making purchase decisions and influencing the purchase decisions of other consumers who they interact with online. As mentioned, a majority of U.S. consumers own a smartphone. Furthermore, according to a study conducted by the Pew Research Center, in 2014 75% of smartphone owners used their phones to access social networking sites. And, this is just the percentage of people who used social media on a smartphone. When you consider the fact that even people who don’t use social networking sites on a smartphone could be connected to someone who does, I would venture a guess that nearly everyone who uses social media could potentially be influenced by an interaction that a consumer has with a brand while the consumer is in a brick-and-mortar store. The number of people who use social networking sites continues to increase, as does the number who own smartphones. While many brands and retailers currently use social media to advertise and build relationships with customers and prospects online, if they don’t integrate social media into the offline shopping experience at brick-and-mortar stores they could be missing out on a huge opportunity to reach and engage with customers at each of the influence points in the mobile shopping life cycle that Chuck Martin describes in his book. Photo credit: Annie Mole on Flickr. In the United States, there are a lot of consumers who use social networking sites, many of whom access them on a mobile device. And, these numbers continue to increase as time goes on. Knowing how to connect to these consumers is a very important skill for all marketers to have. While there are many tactics that marketers can use, having a basic understanding of hashtags is a must. Knowing how to effectively use hashtags can be an important way to reach consumers on social media. A 2014 post on the Adweek SocialTimes blog gives a brief history of the hashtag. 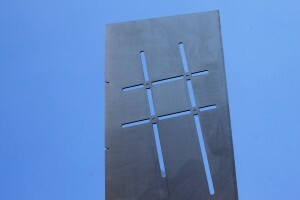 As the post points out, while Twitter popularized the hashtag, it didn’t invent it. In almost every social networking site, hashtags help users find content by linking posts with the same hashtag. In other words, users can search for similar content by clicking on the hashtag to get access to other posts that use that hashtag. With this functionality in mind, it is important to research what hashtags your customers and prospects will find. This includes finding out what hashtags your customers, prospects, and influencers are using to talk about your brand, your products or services, your competitors’ products or services, or anything else that relates to your products or services or the industry that you are in. Hashtags can also show up in a search engine results page (SERP) on Google or any of the other search engines. Furthermore, there are tools that can be used to find the most used hashtags on various social networking sites. This is another way that hashtags help increase the reach of your content. If you create a hashtag with the intention of getting users to engage with your brand or share your content, be aware that just because you want users to use the hashtag, doesn’t guarantee that they will. Furthermore, as several brands have found out, creating the wrong hashtag can backfire by encouraging people to share negative things about your brand. Therefore you need to proceed with caution. As already mentioned, hashtags help encourage customers to share their thoughts about your brand on social networking sites. If done correctly, hashtags can help customers connect with the brand and other customers, thus building a community around the brand. By including a predetermined hashtag on your packaging, it can encourage customers to use it when they share the love of your products on social media. Including hashtags on your advertising in other media (e.g., television ads, print ads, webpages, etc.) 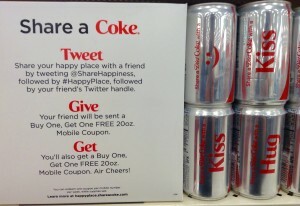 can help increase the reach of these campaigns and continue the conversation about the brand. You can also run a contest on various social networking sites and offer a prize to users who share a specific type of content and use your predetermined hashtag. Finally, if you are organizing an event or gathering where customers and prospects would benefit from hearing what other attendees are saying about the event or topic being covered, create a hashtag that allows them to connect and share with each other on various social networking sites. This content can then be displayed on a video screen so that people who do don’t use the specific social networking site can also see what other attendees are saying. Last year, Ceci Dadisman, Consultant and President of Cardinal + Company, wrote an article on ArtsHacker.com that gives further examples of how to use hashtags for audience engagement. You might want to check it out. Hashtags have become a part of the way that consumers communicate with each other on social networking sites. Using them can also be a way for customers and prospects to communicate with your business. Given the fact that smartphones have given customers the ability to access social networking sites wherever they are, social media and the proper use of hashtags should be something that all marketers are aware of and trained on. If used incorrectly, hashtags can backfire and encourage people to share negative comments about your brand. Therefore, it is important to monitor what people are saying on social networking sites and, if appropriate, respond accordingly. When used correctly, hashtags can help increase the reach of your messages, create a community, and give customers a place to share the love of your products or services. Photo credits: Alan Levine and Mike Mozart on Flickr. Video credit: The Tonight Show Starring Jimmy Fallon on YouTube.